Bagel Shop – La Ventana is now open, come and enjoy fresh made bagels, bagel sandwiches, bagels & salmon; we cured our own salmon between 12-17 hrs., it is served on a bagel of your choice, cream cheese, capers, tomato and red onions. Bagel Shop is now excited to announce its new addition to the Bagel Family. A Gelato Shop “La Tiendita” (spanish for little store), where you can now find a real artisan gelato from “Giulietta e Romeo Heladeria” from La Paz, some organic produce and gourmet ítems: like whole wheat organic pasta, coconut oil (cold pressed, organic and extra virgen), gnocchi, humus, chimichurri and more. We have a great selection of cream cheese: chipotle, basil, mixed berries, chives and more. We also have vegetarían sandwiches, French toast on an atisan bread with pumpkin seeds, cranberries and oats. Our delicious Bagel On The Plate comes with eggs, bagel, creamcheese of your choice, German sausage, crispy bacon a salad and a fruit bruchette. Come and enjoy our mixed fresh juice and coffee. 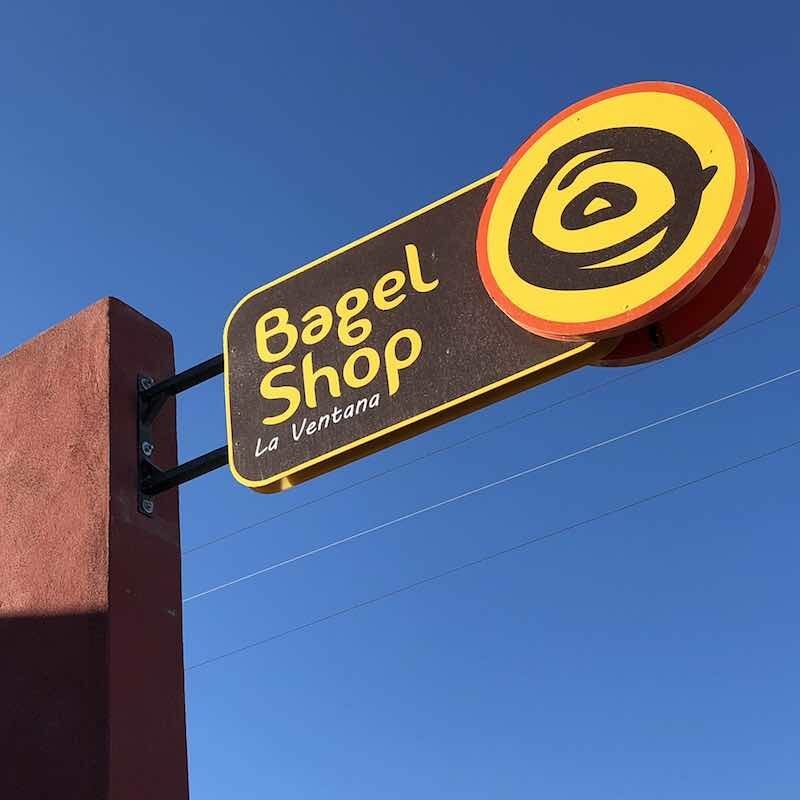 The Bagel Shop – La Ventana is open Tue-Sun; from 8 am – 3 pm, Closed on Mondays. FB The Bagel Shop La Ventana and The Bagel Shop in La Paz.